The 700-page report, the Sixth Global Environment Outlook [GEO] compiled by 250 scientists from 250 nations was unveiled at the United Nations Environment Assembly in Nairobi. Plastic pollution is emerging as one of the major health threats to the world, a landmark United Nations report has warned. The huge report assesses risks to human life from environmental pollutants as the world’s population. 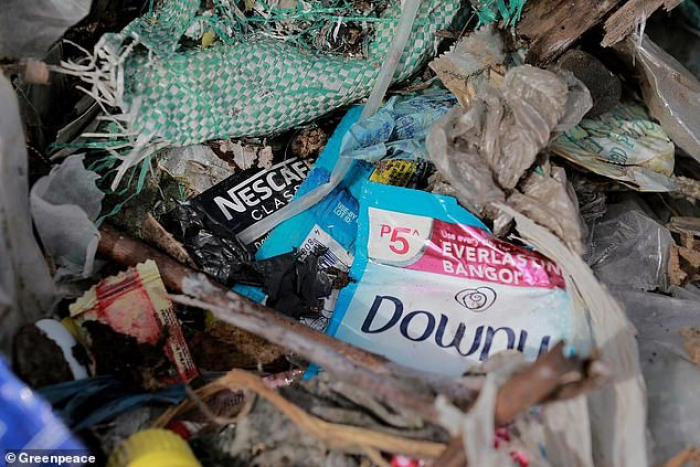 The eight million tons of plastic which end up dumped in the sea a year is one of the threats that is requiring urgent action – but there is as yet no international agreement to halt the flow. 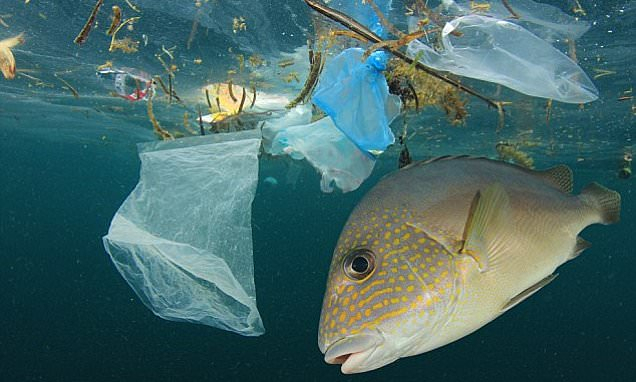 The report warns that 80 per cent of the plastic ending up in the sea comes from the land. Other health threats to humanity include inappropriate use of pesticides, heavy metals, which are of ‘significant concern’ and appearing in ‘alarmingly high levels in our food supply’, the report goes on. It also highlights how skyrocketing demand from the world’s rapidly expanding population will fuel global warming, land degradation and deforestation, the report warns. A tax on red meat could encourage people towards a plant-based diet, the report warns. The world’s population is currently 7.7 billion but by 2050 the planet will be home to up to 10 billion. Incentives to reduce meat eating, such as taxes will be urgent to promote ‘sustainable and healthy diets’. Food waste is also at unacceptably high levels with the world currently throws away a third of all food produced. Among rich countries the figure is even higher – with 56 per cent of food is wasted. By 2050, people getting sick from diseases caused by antimicrobial-resistant bacteria in water supplies could become a major cause of death unless it is controlled. Overall a quarter of all premature deaths and diseases worldwide are due to manmade pollution and environmental damage, the United Nations said. This amounts to around 9 million deaths in 2015 alone. Chemicals pumped into the seas cause ‘potentially multi-generational’ adverse health effects. ‘Urgent action at an unprecedented scale is necessary to arrest and reverse this situation,’ the report warned. Joyeeta Gupta, the GEO co-chair, said: ‘Everyone is saying that by 2050 we have to feed 10 billion people, but that doesn’t mean we have to double production.